Hailed as ‘exacting and exuberant’ (The New York Times), Osmo Vänskä is recognized for his compelling interpretations of the standard, contemporary and Nordic repertoires. Music director of the Minnesota Orchestra since 2003, Vänskä has received extraordinary acclaim for his work with many of the world’s leading orchestras, including the Chicago Symphony Orchestra, New York Philharmonic, London Philharmonic Orchestra, Berliner Philharmoniker, Czech Philharmonic Orchestra and the Yomiuri Nippon Symphony Orchestra. He has also developed regular relationships with the Mostly Mozart Festival (New York) and the BBC Proms. His numerous discs for BIS continue to attract the highest acclaim, as testified by a 2014 Grammy Award for the performance of Sibelius’s First and Fourth Symphonies with the Minnesota Orchestra; in 2017 his Minnesota recording of Mahler’s Fifth Symphony earned a Grammy nomination. Vänskä studied conducting at the Sibelius Academy in Helsinki and was awarded first prize in the 1982 Besançon International Young Conductor’s Competition. During his tenure as principal conductor of the Lahti Symphony Orchestra (from 1988 to 2008), he raised the orchestra’s international profile, taking it on successful tours and making recordings. His conducting career has also included substantial commitments to such orchestras as the Tapiola Sinfonietta, Iceland Symphony Orchestra and BBC Scottish Symphony Orchestra. 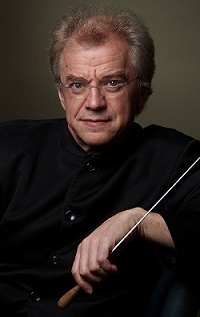 Vänskä is the recipient of a Royal Philharmonic Society Award, Musical America’s 2005 Conductor of the Year award, and the Arts and Letters award from the Finlandia Foundation.